A neurotologist is able to perform surgery for vertigo. Surgery forms one of the main pilars of the management of patients with vertigo, dizziness and balance disorders. It is usually indicated for certain peripheral conditions of the inner ear or nerve. In the majority of patients medical treatment including dietery advice, life style modification and vestibular rehabilitation exersises are usually effective. Psychological support is always important. Some conditions however can only be corrected with surgery. After surgical section of the vestibular nerve, the facial nerve (F) and cochlear nerve (C) are still intact. Left sided translabyrinthine selective vestibular nerve (V) section for Menieres disease (MD). Facial nerve (F). The aim of surgery is to stabilize, correct or destroy abnormal vestibular function. By performing surgery the brain will have a better chance to adapt to a stable vestibular condition. In some conditions the decision to perform surgery is straight forward. A persistant leaking perilymph fistula (PLF) is an example. Other conditions for instance Meniere’s disease may only require surgery if conservative treatment measures fail. On the other hand surgery for vertigo may be an early option in a pilot with Meniere’s disease who cannot fly with the diagnosis nor take medication. Intratympanic administration of gentamycin or steroids. Erradication and addressing ear disease such as infections, tympanic membrane perforations and cholesteatoma. 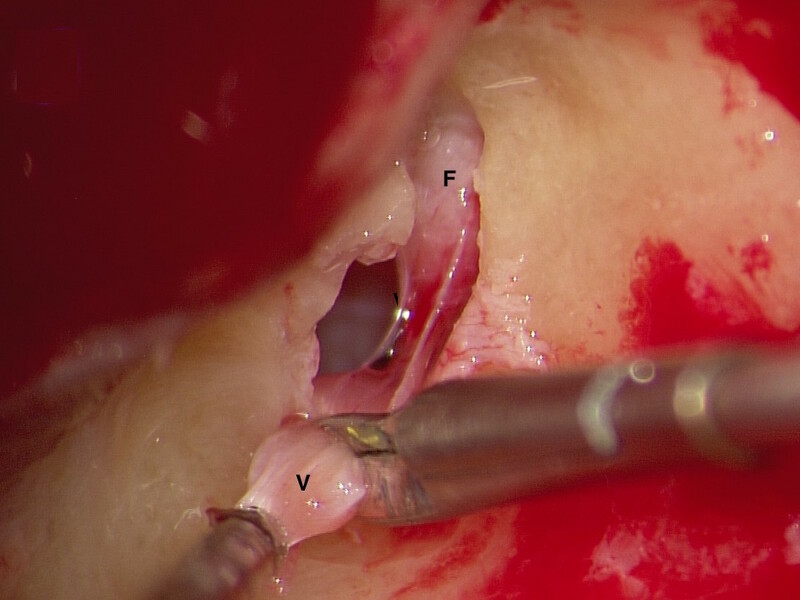 Stapedotomy and stapedectomy for otosclerosis. Endolymphatic sac decompression with shunt. 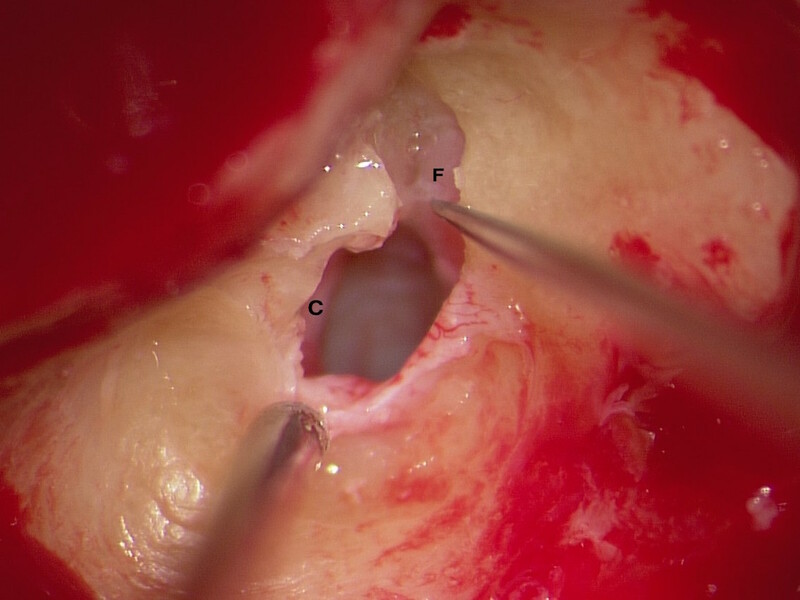 Repair of superior canal dehiscence (SCD). Occlusion of semicircular canals for BPPV. Correction of perilymph fistulas (PLF). In the majority of cases surgery is usually followed up with an intensive vestibular rehabilitation program. This may entail adaptation and even substitution where residual function is sacrificed. The decision to perform surgery should never be taken lightly, never be performed before propper investigations have been performed and not if more conservative options have not been exploited.